5 1/2" Non-Stick Serrated Fabric Scissors Scissors for fabric, quilting, embroidery and more at Havel's Sewing. Your source for unique tools for your fabric arts. 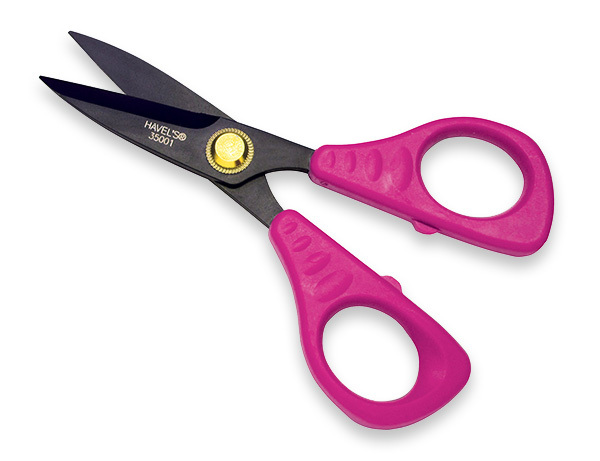 Avoid ruining another pair of scissors with these non-stick serrated fabric scissors from Havel’s Sewing! 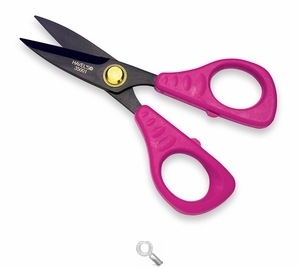 Lightweight, comfortable and ergonomically designed, these scissors cut all the way to the tip, and the serrated blade holds slippery fabrics in place for precise fabric cutting. Order one today and complete your Sew Creative set!